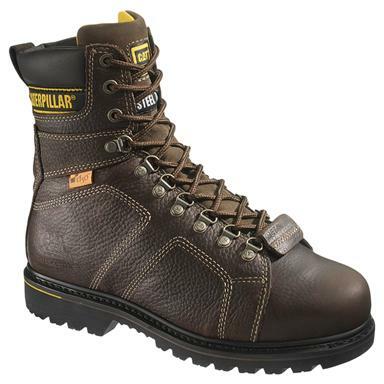 CAT® 8" Silverton Guard Steel Toe Boots. Finally! A flexible metguard! Major impact protection with a flexible fit. The secret is d3oTM, a one-of-a-kind, specially engineered material that provides "intelligent shock absorption". Here's how it works: At slow speeds-like walking-the molecules that make-up d3o technology move freely, giving the guard a soft, flexible feel. But at high speeds-like sudden impact-the molecules lock together, resisting the impact and offering you the protection you expect from CAT work boots.